Chinese New Year is coming up, celebrated on the first and 15th days of the new moon (Spring and Lantern Festivals) in the lunar calendar. This year, 2019, it’s the Year of the Pig. Families get together to share special foods (especially lucky dumplings and sticky rice cakes), wear new clothes, decorate their house with symbols of luck and prosperity. In many cities around the world, there are parades and performances with lion and dragon dancers, and lots of firecrackers. The origin of Chinese New Year is narrated in the legend of a monster called Xi, and Nian, a brave little boy. On the last day of every year, the monster would come down to earth and run around smashing things. Little Nian confronted Xi, and cleverly gave him some sticky rice cakes. Xi’s mouth stuck together so he couldn’t hurt people. Then Nian lit firecrackers, the monster was so scared by the loud noises, he ran away. The first day of the New Year is xin nian, in memory of Nian, and the last day is getting rid of Xi, chu xi. The Lantern Festival on the 15th day is celebrated with red lanterns and more firecrackers. In the mists of time, the Jade Emperor in Heaven was angry with people and tried to destroy the earth with fire. Instead the Jade Emperor’s daughter came to earth, and told everyone to light red lanterns and set off lots of exploding firecrackers. The Jade Emperor was fooled into thinking earth had burned up, so everyone was saved. 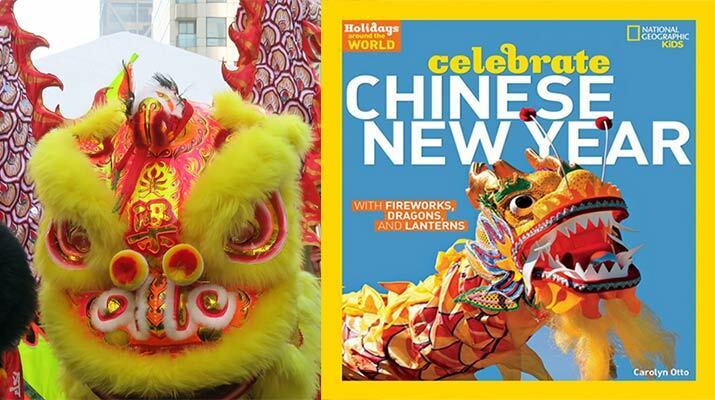 Watch Travel for Kids video, Chinese New Year lion dance in San Francisco.